Arranged in the 13th-century castle interiors is a collection of salt cellars composed of over 400 pieces! The main seat of the museum is the Saltworks Castle. 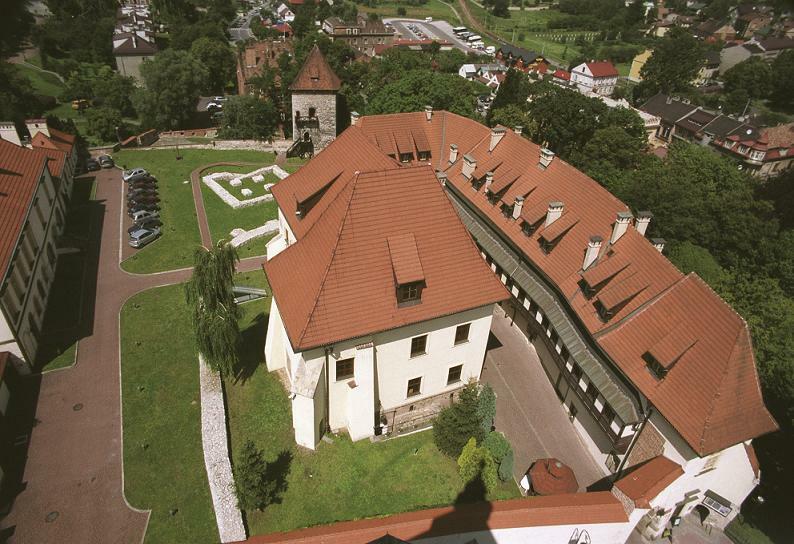 For nearly 700 years from its construction late in the 13th century, the edifice was the administrative centre of one of Europe’s largest businesses: the Kraków Saltworks covering the mines in Wieliczka and Bochnia, salinas, and the entire infrastructure connected with salt production. The Saltworks Castle housed the mine’s kitchens, chapel, court, and prison; miners were summoned to work from the castle’s tower and provided with working tools stored in the local storehouse. Today’s tourists are welcome to visit the castle’s interiors with exhibitions devoted to the archaeology and history of Wieliczka, and the collection of salt cellars consisting of over 400 specimens. The invitation also includes the 14th-century tower which was a part of the system of the city’s fortifications built in the reign of Casimir the Great (Kazimierz Wielki). The unique value of the Saltworks Castle was acknowledged by its accession to the UNESCO World Heritage List in 2013. The museum also runs an underground exhibition in Wieliczka Salt Mine (covered in the price of the ticket to the mine).